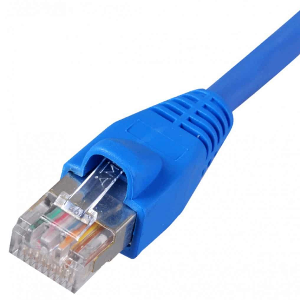 A "straight" ethernet cable, also known as RJ45 cable, allows you to connect your computer to the Internet through a wire. 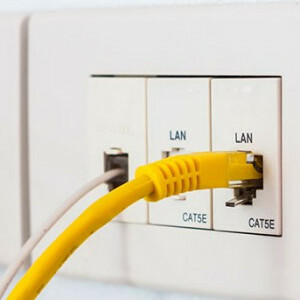 It is the most effective way to connect your device to the Internet: the speed is higher, the latency is lower and the connection is more stable than Wi-Fi. You can buy one in any shopping center or IT hardware store. We can also sell you one for 5€, just check the option during you subscription. 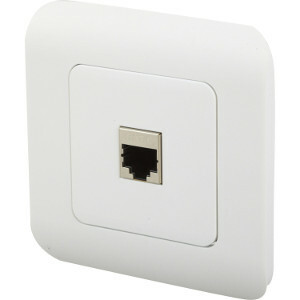 In order to plug it, you just have to plug one side of the cable in the female socket on the wall, and the other side in your computer socket. Both sides of the cable are the same, so there is no wrong way!